Egg freezing, or “oocyte cryopreservation,” is a technology that can help to slow down the clock for women who know that they want to get pregnant someday, but also want more time. 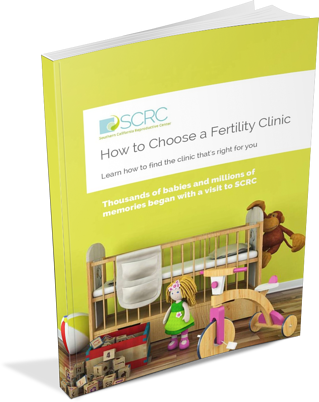 Age-related fertility problems are one of the most common issues that fertility clinics see, and most of these are related to the decrease in egg quality and quantity. Sometimes, even when your body is at the peak of its fertility, the timing just isn’t right to bring a baby into the world. People are marrying later, and increasingly, women in their twenties and early thirties are at crucial points in their careers and feel unprepared to take time off to have a child. For some women, egg-freezing can offer hope before they go through fertility-threatening medical treatments such as chemotherapy or radiation. Whatever the circumstances may be, understanding the process of egg freezing can help you weigh up your options, and give you more choices about your future. How do I freeze my eggs? Anti-Mullerian hormone: this is a hormone related to early-stage ovarian follicles. Measuring this hormone can indicate the size of the remaining egg supply. Follicle stimulating hormone (FSH): this hormone comes from the pituitary gland. It’s job is to help ovarian follicles mature so that they can release eggs. A high levels of FSH can indicate that your body is struggling to produce eggs, and that might mean that you have a low ovarian reserve or that the quality of your eggs is low. Once everything has checked out, your fertility team will walk you through the fertility medications you’ll be taking, including how and when to administer them. The egg freezing process has three steps. These are the same first three steps used for In Vitro Fertilization (IVF) but at the end of the protocol the eggs are frozen instead of being fertilized and transferred. 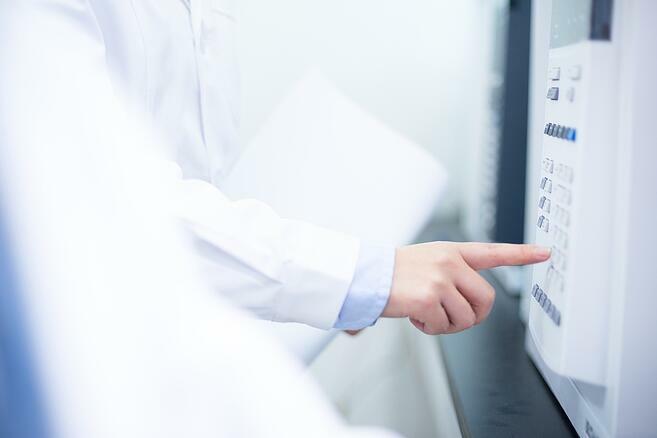 Your egg freezing protocol will usually begin with a course of fertility medications, which are used to stimulate the ovaries. This has two purposes: the first is to plan your ovulation so that the egg retrieval procedure can be performed at the right time, and the second is to induce your ovaries to develop multiple eggs. During a natural cycle of ovulation, usually only one egg is produced, but when you are freezing your eggs, you want to maximize the number of eggs available. Usually, patients begin taking fertility medications on the third day of their period, and take them for 10 to 12 days. During this time, you’ll need to visit the clinic several times for ultrasound monitoring and blood tests so that the team can keep an eye on how the follicles are growing. Once there are a good number of mature follicles ready to produce eggs, you will receive a “trigger shot” of hCG (human chorionic gonadotropin). This medication will encourage the eggs to finish maturing, and your egg retrieval procedure will generally be scheduled 36 hours later. The egg retrieval process takes place at the fertility clinic. It is done as an outpatient procedure, under light IV sedation. This is not full anesthesia but similar to the anesthetic you might receive to have a wisdom tooth extracted. You won’t feel any pain during the procedure. The retrieval procedure takes about 20 to 30 minutes. During the egg retrieval process, your doctor will use a transvaginal ultrasound probe. This gives them a clear, direct view of the ovary and allows them to locate the precise position of each follicle, allowing them to retrieve the maximum number of eggs during the procedure. You can expect to be at the clinic for between 1.5 to 2.5 hours, which includes preparation, paperwork, and recovery. You’ll need someone to bring you home and might want to take the rest of the day off to let the effects of the anesthesia wear off, but recovery is generally fast and easy. You may feel some slight abdominal tenderness and bloating, which should pass quickly. As soon as the retrieval is done, your part in the process is over. As soon as the eggs are retrieved they are taken to the lab and cooled instantly to subzero temperatures. The eggs will be kept in a special storage facility until you decide to use them. While there are no ironclad guarantees available in the world of fertility treatment, for many women, egg freezing can offer peace of mind. As you may expect, the earlier you freeze the eggs, the better your chances of success. Women who freeze their eggs in their twenties and early thirties tend to get more viable eggs during the retrieval procedure and their eggs have higher rates of survival during the freezing and thawing process. They also have a higher likelihood of conceiving and carrying a baby with those eggs. Fertility begins to decline in your mid twenties and continues falling until menopause, with the most noticeable drop around age 35. If you freeze your eggs in your early to mid thirties, the average chance of achieving pregnancy with those eggs is around 40% to 50%. By your late 30s, it is more like 15% to 20%. That doesn’t mean that women over 35 cannot benefit from egg freezing: on the contrary, every year counts. In addition, every woman’s body is different. Only your doctor can assess your particular case. Whether you’re waiting for your career to take off or for the right relationship to develop, freezing your eggs gives you the potential to preserve your fertility until you’re ready to have a baby.